Dedicated to the larger-than-life spirit of Mumbai, Covershot: The Maximum City, a show on National Geographic will see 16 photographers tell their version of the chaos, the charm of the dabbawalas of the city. Mentoring and judging the show will be the installation and visual artist Samar Singh Jodha, film director Abhinay Deo (of Delhi Belly fame) and master-photographer Raghu Rai. 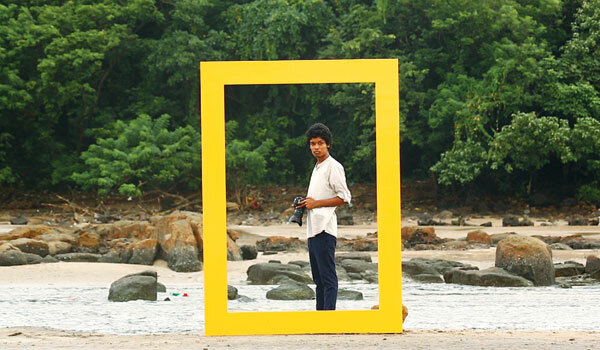 Jodha, best known for addressing issues like development, human rights and conservation through his works, tells us more about mentoring, judging art and the ideal picture. What drew you to the show? From concept to format to execution, it is an exceptional show. My biggest expectation is to see all the contestants emerge into big names. The challenge to pick the best. Judging such beautiful and thought- provoking images was a huge task and a great responsibility. Some images were so good and powerful they left us awestruck. 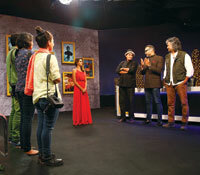 Some contestants are young and some are professionals, it was key for me to look at each picture through the same lens. Audience appeal of the show. I picked up my first camera at 13 while I was at an international school at the foothills of the Kilimanjaro. Growing in different parts of the world kind of reinforced my headspace into creativity. This also led to attending (and mostly dropping out of) a number of art, photography, film and design schools such as NID in Ahmedabad. What is the key to photography? The key to a great photograph is to be present at the right place at the right time to take it. And the artistic ability to compose a picture in the mind before getting it on film. Mumbai is the dream city. It has been captured many times, by renowned photographers. However, there are some aspects that are still new. We wanted to explore that through Covershot. Jodha shares his criteria for picking the bestphotograph Originality: The picture should be original and have a story to tell. Technical excellence: It is the print quality of the image itself as it is presented for viewing. Retouching, sharpness, exposure, printing and correct colour are some items that speak to the qualities of the print. Composition: It is important to the design of an image, bringing all of the visual elements together in concert to express an imagea��s purpose. Proper composition holds the viewer in the image and prompts them to look where the creator intends. Effective composition can be pleasing or disturbing, depending on the intent. Artistic merit: When all the elements come together and make it a piece of art is when we say the picture has artistic merit. Overall impact: Impact is the sense one gets upon viewing an image for the first time. Compelling images evoke intense emotions.